Friends who explore together, stay together - especially Dora and Boots! 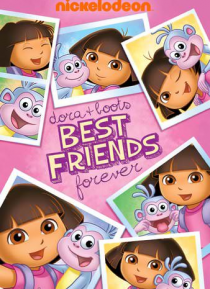 From visiting an amusement park together to the first time they met, from Best Friends' Day to Boots' Special Day, join your amigos for 8 best-friend-forever adventures! ¡Vámonos!